Attorney General Jeff Sessions renewed threats on Thursday to single out four specific cities applying for crime-prevention funding — including San Bernardino and Stockton, California— that he believes are failing to cooperate fully with federal immigration officials; something city officials protest. According to an AP report, Department of Justice (DOJ) sent letters to four cities struggling with high crime and murder rates— Baltimore, Albuquerque, and Stockton and San Bernardino in California—warning them they would be ineligible for a federal program that provides money to cities actively combatting drug trafficking and gang crime unless they grant federal authorities complete access to jails and prior notification before releasing inmates with pending immigration violations. Multiple reports note that all four cities expressed interest in the Justice Department’s Public Safety Partnership, which offers direct federal aid to cities for crime-fighting. 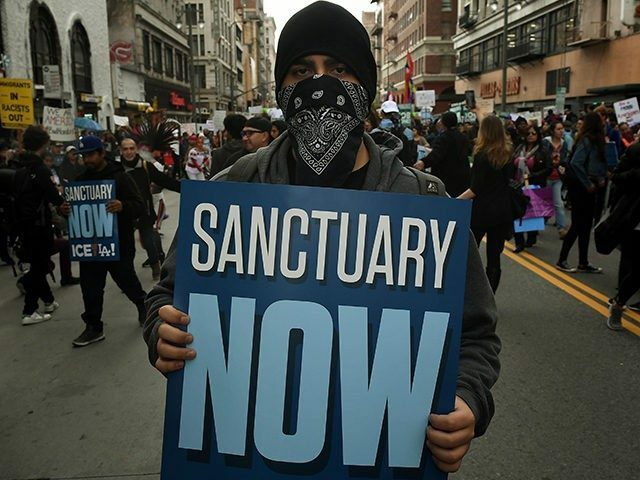 What’s strange is that while none of the four cities have formally declared itself a “sanctuary city” publicly, Sessions made it clear that he doesn’t believe they’re doing enough working with the feds to protect citizens from criminal illegal aliens. “For us, it’s all about reducing violent crime. That’s what the PSP is about. It’s unfortunate when things like this become politicized,” he said. The chief added that he does not see a connection between illegal immigration and violent crime in Stockton. At stake are millions of dollars of funding that police departments use for everything from bulletproof vests to body cameras. The DOJ has given the four cities until August 18th to comply with Session’s demands.